How can I protect newly installed plants as they get established? 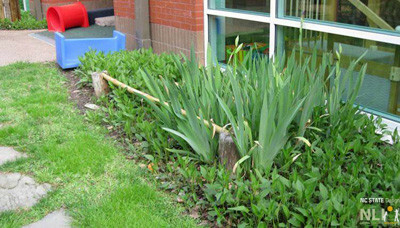 Plant protection railing is a simple way to protect newly installed plants. By guiding feet away from new planting beds, the railing guards plants from being uprooted or trampled, delicate tree branches from being hung on, and roots from being compacted. The simplest variations of plant protection railing can be installed inexpensively with minimal skill, and it is a key method to ensure new plants will thrive in the outdoor learning environment. Install plant protection railing immediately after plants are installed. Install plant protection railing just beyond the planting hole (ideally three times the width of the root ball) to protect the newly amended soil from compaction. Select materials that are readily available, easy to work with and durable. 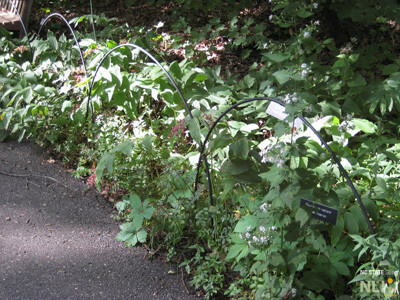 Use plant protection railing to define edges of pathways, lawns, and settings and direct circulation. 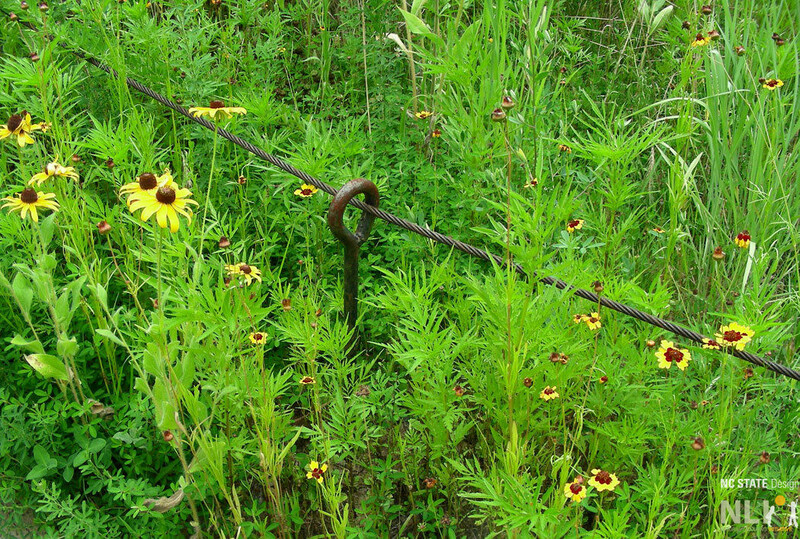 Plant protection railing should be in place for a minimum of two years as plants get established. In high traffic areas, such as primary pathways, permanent railing may be necessary. Temporary railing may be sufficient in areas with minimal foot traffic. Free-standing trees can be protected singly or entire planting beds can be edged with plant protection railing. 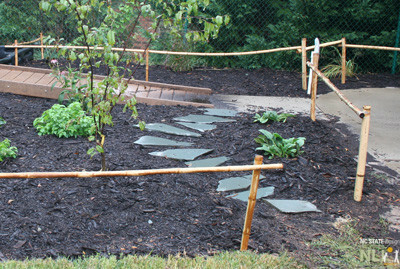 Create exploratory pathways with stepping stones or tree cookies to define routes through and provide access to new planting beds. During installation, avoid sharp ends and potential entrapments. 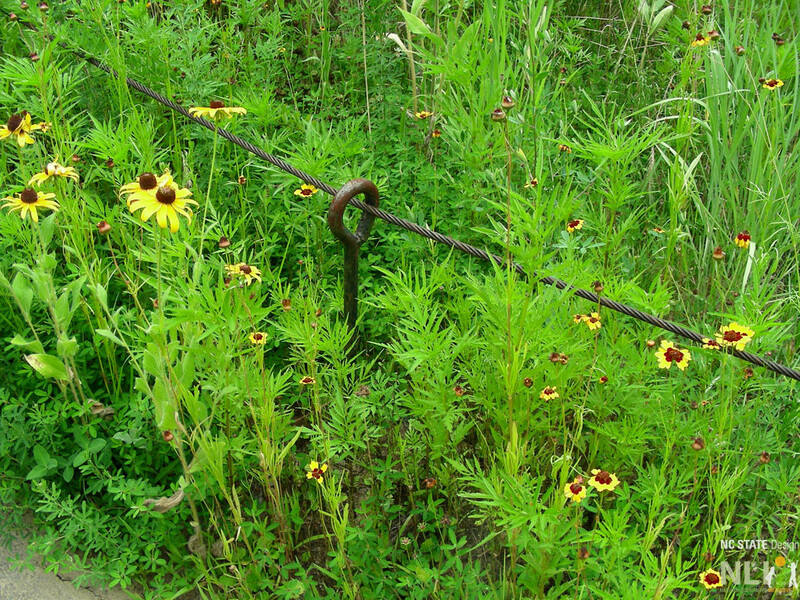 Metal posts with cable or rope. 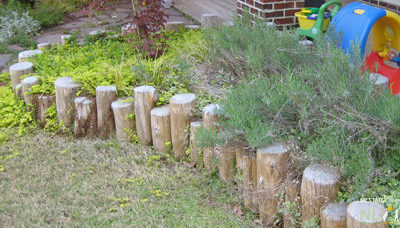 Bamboo rails with cedar posts double as pull-up rails in this toddler OLE. 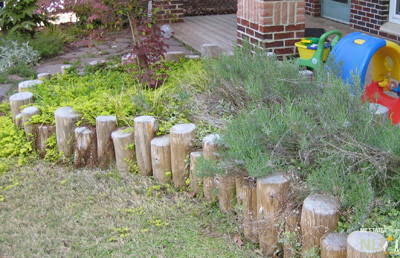 Cedar logs protect plants and define the edge of the lawn. Bamboo posts and rails. 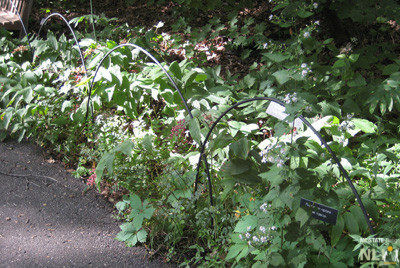 Stepping stones create an exploratory pathway that provides access to new plants. 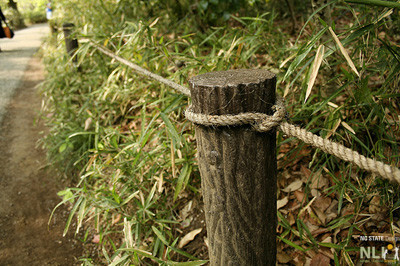 Bamboo posts and rails. 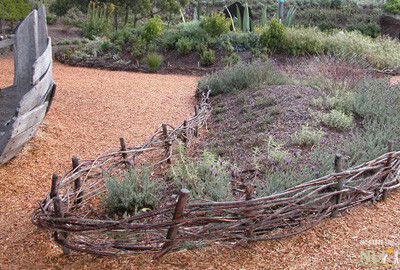 Stepping stones create an exploratory pathway that provides access to new plants.Arching strips of split bamboo. 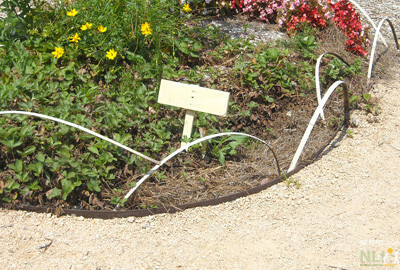 Arching metal strips or rebar. Wooden posts with cable or rope. Arching strips of split bamboo.